Around 11:00 AM this morning, Northeast Dubois High School experienced a power outage. It was at this time that the staff at the school recognized an odor that concerned them. The high school evacuated the premises and requested local firefighters to conduct a carbon monoxide check. By 11:30 AM, power to the school was restored by the Dubois County REC. The local fire department gave the all clear about the same time, which was safe enough for kids to return inside the building. Staff, students, emergency responders, and the REC were commended by the school for their patience, understanding, and quick response to the situation. 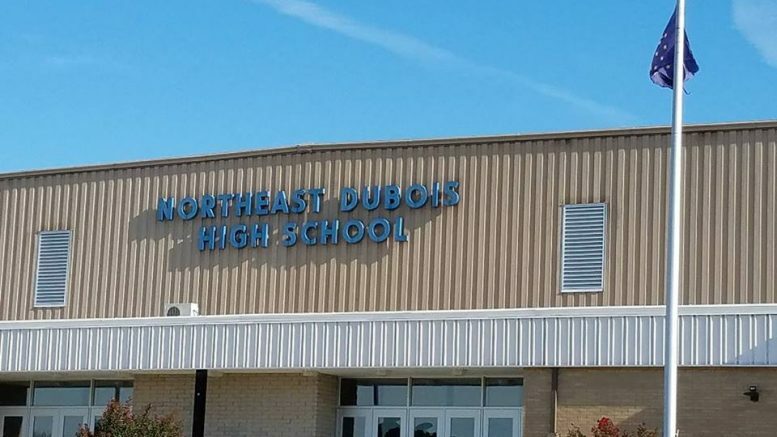 Be the first to comment on "Strange Odor Leads To Evacuation of Northeast Dubois High School"